1. Open App Store on iOS of your iphone. 2. Select Menu 'Search' from the bottom of App Store. 3. 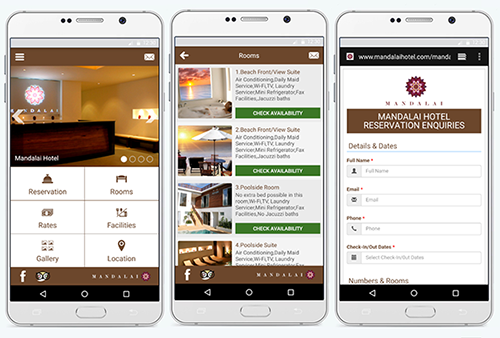 In the search field, please type "Mandalai" to search Mandalai Hotel App. 4. When found Mandalai Hotel App, select "GET" to install Hotel App. 5. After Install Mandalai Hotel app finish, open Mandalai hotel app to launch the application. • .ipa Mandalai Hotel App for iOS/iPhone. 1. Open Play Store on Android mobile phone. 2. In search field box type "Mandalai Hotel" to search Hotel App. 3. 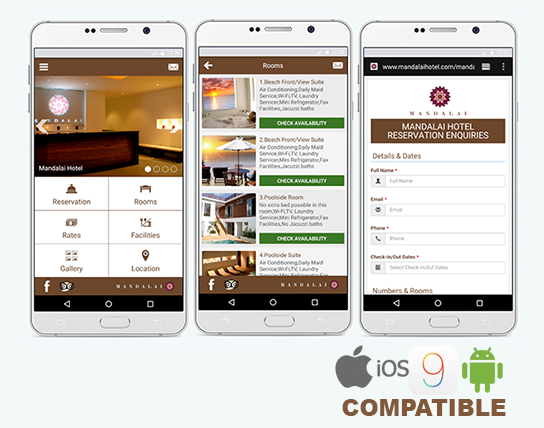 When found Mandalai Hotel App, select it and Install. 4. After install Mandalai Hotel App finish, open the Android Mobile will launch the application. • .apk Mandalai Hotel App for Android mobile phone.